Although they're from Germany, Treacle People don't draw on the German Krautrock aesthetic, instead opting to draw on British and American rock influences, especially from the 70's. While not terribly innovative or something that will knock your socks off, it's nonetheless music done by a tight and talented group of players, with guitar, bass, drums and some really nice organ work, as well as Rhodes piano. While not really what I would call progressive rock, there's still a dash of Yes in their sound, especially on the opening cut, Anschlag, where guitarist Peter Bartsch pulls off some nice angular soloing. But you'll also hear touches of The Allman Brothers, Led Zeppelin, and Pink Floyd in the songs, and even a little bit of pre-Rumours era Fleetwood Mac on the catchy I Know What I'm Here For. My favourite song is the nearly 9-minute long Moonchild, which has a sweet melody and some terrific organ soloing in the middle from keyboardist Winfried Ekhart Rimbauch-Sator as well as some tasty guitar/organ interplay. All in all, it's a solid, though not terribly original debut from this band, but it's still definitely worth a listen, especially if your tastes run towards that classic 70's sound. 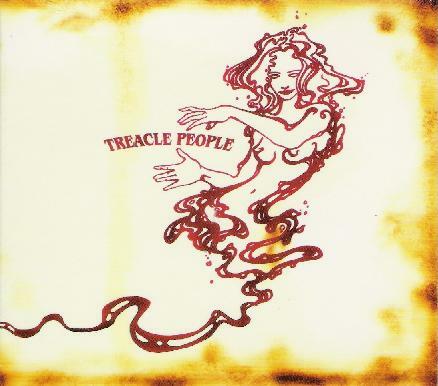 For more information you can visit the Treacle People web site at: http://www.treaclepeople.de. Visit the World in Sound web site at: http://www.worldinsound.de.